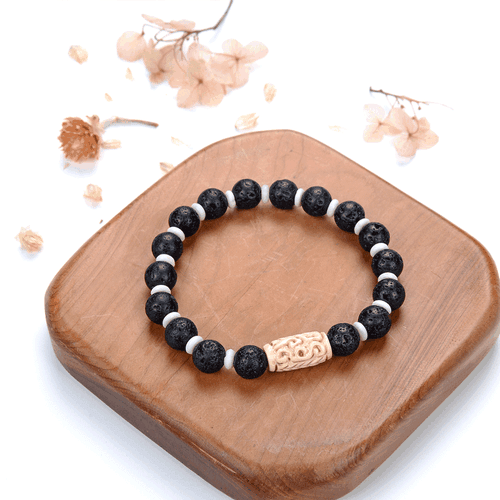 8mm Black Lava Stone Semi-Precious with bovine bone bead Stretch Bracelet Design 8mm Black Lava Stone Semi-Precious with bovine bone bead Stretch BraceletCustom Lanyards with high shine finish that makes them stand out from crowd, a great product for promotional events. Your degin or logo will stand out good due to its shiny finish. 8mm lava stone beads, small beads septum of bovine bone and one main bovine bone beads. String with good quality strong and durable elastic cord. 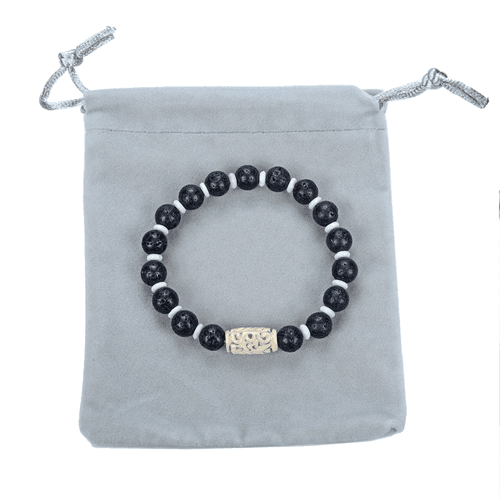 Two sizes available: Medium 7inch inside circumference, fits most women and young adults wrist. Large7.5inch fits the average men. Description: Lava Stone also known as Basalt is an igneous volcanic rock that is basically molten lava that has solidified under intense heat and pressure. 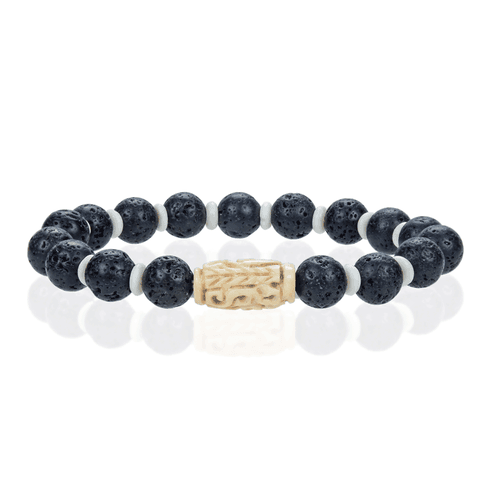 Lava stone helps to diminish the negative aspects of one’s character and allow us one to see where modification of your character can be helpful. 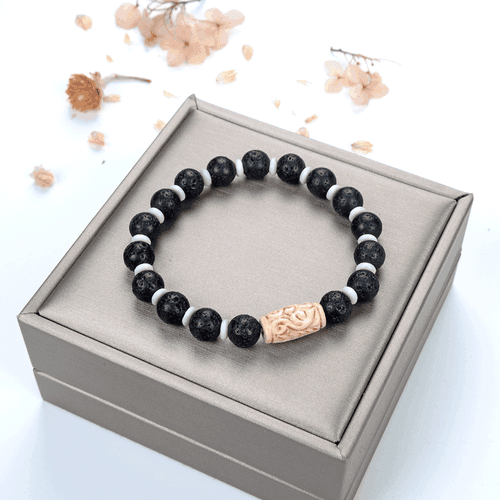 The stone is wonderful for calming the emotions.